Maybe the best thing about Karate Combat is that they force all of their fighters to wear black belts. If you have the balls to fight in the Karate Pit (copyright pending), then sure you deserve to skip to the end and get your black belt. You my friend, are a black belt in life. So the trust-fund money marks behind Karate Combat held another event last night (Jan. 24). This time instead of holding their card on top of a New York City skyscraper, the event organizers went a little lowkey and took it to Hollywood. We assume Hollywood, California, but there is a off chance this event took place in Hollywood, Florida. Dropped into the Karate Pit for our enjoyment, and somehow broadcast on Fight Pass, was Brazilian Teeik Silva. Per the most basic Internet research, Silva is either 7-2 in MMA or 0-1 in MMA, but who’s really counting? According to his very official karate.com bio, Silva is 0-1 in Karate Combat and his karate style is Shotokan. Oh wait, there is more according to his bio the fine folks over at karate.com also do a DNA analysis on all their fighters? LOL what? Yup, so fans, opponents and generally creepy people can also learn about Silva’s exercise recovery, food breakdown hunger/weight, joint health, metabolism, movement, power performance, and vitamins. How can anyone expect us to pick these fights if we don’t know everyone’s Folate Levels? We are living in the future and the future involves dudes fighting in a Karate Pit while millionaires look on from their skybox. 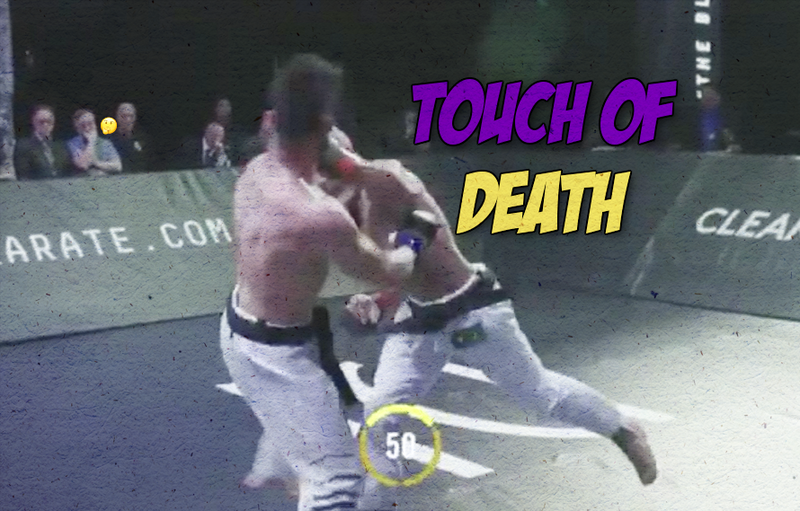 With all that being said lets watch Teeik Silva just assault a dude with a one punch KO from last night’s event. All hail the future of combat sports. When is the Moat Fights-Karate Combat super crossover event going down? We are here for that.